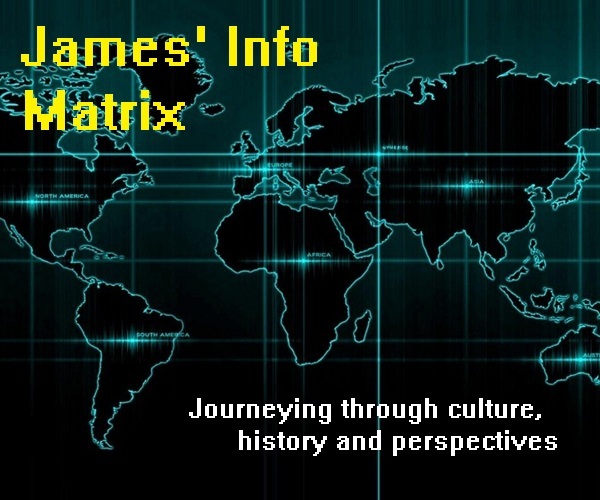 In the last part of this article, I have given a summary of the account of Apostle Thomas’ preaching and mission in the kingdom of Gandhara as recorded in The Acts of Judas Thomas the Apostle. According to these records, Apostle Thomas did extensive preaching throughout the entire kingdom of Gandhara under the rule of King Gondophares - a kingdom that included areas in present-day north India, Pakistan and southern Afghanistan. മാര്‍ഗ്ഗംകളി) and Parichamuttukali (Malayalam: പരിചമുട്ടുകളി) which recount events regarding Apostle Thomas' preaching and evangelical works in South India. The Malabar Coast (Malayalam: മലബാർ തീരം, Malabār Tīram) is the stretch of land in southwestern India facing the western side of the Indian Ocean. Situated within the state of Kerala (Malayalam: കേരളം) in South India, one can see scenic rivers, breathtaking lagoons, paddy fields and coconut trees adorning the entire land. 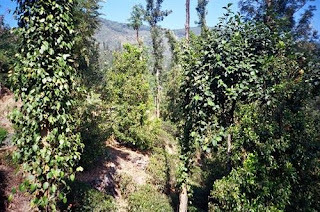 The state of Kerala is also famous for its large plantations of various types of spices such as cardamom, cinnamon, cloves and pepper. In fact, the name “Kerala” itself means “the land of coconuts”, in line with the state’s abundant existence of coconut trees. Since ancient times, the Malabar Coast has been a popular trading centre for traders from the Roman Empire, Greek Empire, Israel, Arabia, Egypt and Persia. In fact, key ports along this coast, such as Cochin (Malayalam: കൊച്ചി, Kochi) and Cranganore (Malayalam: കൊടുങ്ങല്ലൂര്‍, Kodungallur), became the centres for trade and commerce in South India. This is due to the fact that the Malabar Coast has lots of spice plantations which yield lots of spices annually for trading purposes. 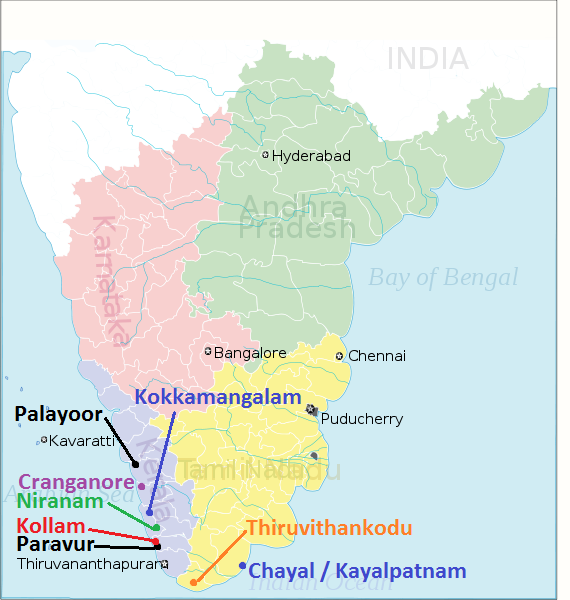 For those of you who don’t know much about the people of India, the Indians consist of many sub-ethnics dispersed throughout North and South India, such as Hindis, Punjabis, Kashmiris, Urdus, Bengalis, Telugus, Tamils, Malayalees, Kannadas and others, each of which is frequently concentrated in a single state in India. 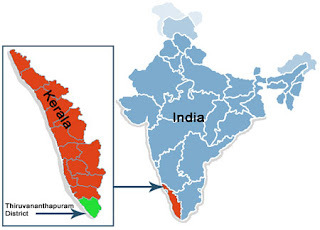 The state of Kerala, in which the Malabar Coast is situated, is mainly populated by Malayalee Indians who speak the Malayalam language. It was against such a background, enriched with coconut trees, scenic geographical features and vast spice plantations, that Apostle Thomas arrived to spread Christianity in South India. From Alexandria, Egypt, Apostle Thomas boarded a merchant ship which was bound for the Malabar Coast of India. Hence, in the year 52 A.D., the apostle arrived in Cranganore, a prominent trading port on the Malabar Coast during that era. Cranganore became the first spot where Apostle Thomas started preaching Christianity in South India. Upon his arrival in Cranganore, he preached the gospel to the Jews who were residing there, as well as to the local Malayalee Indians in the trading port. 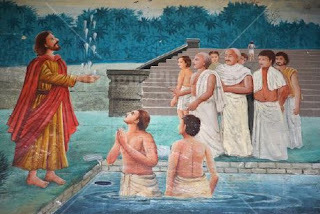 Apostle Thomas gained considerable success in preaching the gospel of Christianity in Cranganore, as proven by the warm reception of the gospel by individuals from the Brahmin, Ksyatria, Nair and Chettiar castes. Apostle Thomas even endeavoured to preach to the King of Thiruvanchikkulam (Malayalam: തിരുവഞ്ചിക്കുളം) who resided in Cranganore at that time. As a result, the Malayalee king and his entire royal family accepted Christianity as well. The royal family was subsequently baptized by the apostle, along with numerous other Jews and Malayalee Indians. Apostle Thomas renamed the king Andrew and his prince Cephas (also known as Kepha). 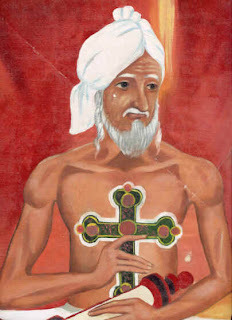 The apostle then appointed a convert from the Brahmin caste, Thomas Maliyakal as Ramban or Archpriest and Prince Kepha as the high priest in charge of the entire new Malayalee Christian community in Cranganore. With the conversion of the royal family of the King of Thiruvanchikkulam, Apostle Thomas received royal patronage and extensive support for his missionary work in the Malabar Coast from the royal family, thus greatly boosting the spread of Christianity throughout the Malabar Coast. With the expansion of the Christian community in Cranganore, Apostle Thomas then went on to establish a church in the port-city's vicinity, which then became the first ever church in South India. 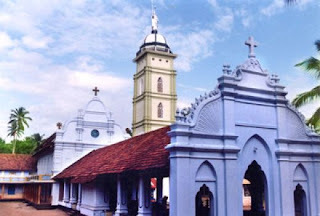 This church became the centre of Christianity’s expansion in the Malabar Coast and the administrative centre for all churches throughout the region from the first century onwards. 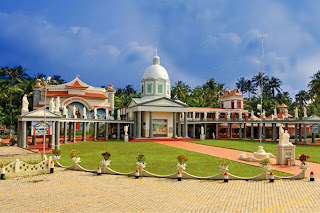 In fact, Apostle Thomas used the church in Cranganore as his headquarters in spreading the gospel of Christianity throughout the Malabar Coast. According to a legend, Apostle Thomas once visited a Hindu temple in Cranganore and performed a miracle there. Customarily, before prayers were held in the temple, purification of those participating in the prayers would be held in a pond nearby. 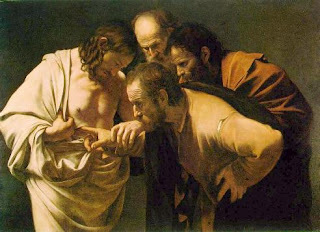 While walking on the steps leading to the pond, Apostle Thomas was bitten by a poisonous viper, causing his hand to bleed. While he walked towards the pond, the viper clung onto his bleeding hand. He then pulled the viper off his hand before entering the pond. Once in the pond, he splashed the water into the air and prayed. To everyone’s amazement, the water particles remained suspended in the middle of the air until his prayers were over. Everyone present was surprised at this as they had all expected the apostle to abruptly fall dead after being bitten by the viper, which did not happen at all. Apostle Thomas made it a habit to plant a cross on the ground in places where he spread Christianity and established a new Christian community. For example, he planted a cross in Kokkamangalam and Thrikapaleswaram respectively after establishing a new Indian Christian community there. At the site of where the cross was planted, a new church would be built for the Christian community. 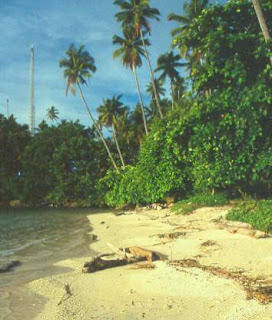 In the case of Thrikapaleswaram, Apostle Thomas planted a cross near a Hindu temple so as to provide a place of worship for the new Christian community there. However, some of the locals there did not like it and they plucked out the cross, subsequently throwing it into a nearby river. The cross floated some distance along the river and rested on the riverbank near Niranam. Apostle Thomas then decided to build a new church in Niranam for the Christian community, thus bringing about the establishment of the Indian church in Niranam. In another legend, Apostle Thomas was said to have done another miracle involving pond water in Palayoor. When he arrived in Palayoor, he saw a group of Brahmins (the priestly caste) standing in a pond to perform a drink offering or libation, which was done by chanting mantras and throwing the pond water into the air. Apostle Thomas found this to be an opportune moment to spread the gospel by performing a miracle, so he went into the pond, took some water and threw it into the air. To the Brahmins’ amazement, the water he threw did not fall down at all, but instead disappeared in the air. Hence, the Brahmins consequently found interest in accepting and learning more about Christianity and the gospel. Throughout these towns and cities along the Malabar Coast, Apostle Thomas was extremely successful in spreading the message of Christianity. It was said, according to the Ramban Songs, that 2800 people accepted Christianity in Nilackal, 1770 people in Kottakavu, 1600 people in Kokkamangalam, 2200 people in Paravur and 2400 people in Quilon. Amongst those who accepted the gospel were the Brahmin families of Sankarapuri, Pakalomattom, Kalli and Kalliyankal families, which were from Palayoor. 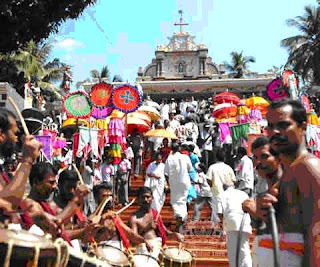 Many from the Chettiar caste, which was the prominent trading caste in the Malabar Coast at that time, also accepted Christianity. There were also some who heard the gospel but chose to remain as Hindus, but over time influences from the gospel were incorporated into their traditions, dances, songs and family history up to this day. After successfully spreading Christianity in the Malabar Coast, Apostle Thomas proceeded to Tamil Nadu to continue the spread of Christianity, where he was later martyred in the ancient “Town of Peacocks.” This I will cover in the next and last part of this article.